What happens when school becomes the real world? Roland DGA offers educators ready-to-teach, digital fabrication solutions with Project Based Learning (PBL). Keep students from all education levels engaged in projects throughout the school year with our easy-to-follow PBL tutorials that combine effortlessly with our most popular, student-friendly devices. Patricia Beck, a teacher at W.J. Mouat Secondary School in British Columbia, is part of the growing number of teachers who realize that many older teaching methods are no longer effective in our evolving world. Not only are they ineffective at teaching skills students will need in the future, but in the age of smartphones, laptops, and other new technologies, the reliance on lectures, textbooks, and memorization do not captivate Beck’s students. Often grades and isolated content are not enough to motivate and inspire learners, but completing real-world tasks with authentic impact and consequences changes the game. In her quest to engage students in her design class, Beck turned to project-based learning (PBL). At its heart, PBL is about doing hands-on work to complete real-world tasks. Here’s how project-based learning transformed Beck’s class and how it can be an effective addition to your school and an advantage for your students. Design is more effective with follow-through. In a traditional design class, students work on concepts of their ideas. In the past, students did this work on paper, but today students can use software, like CAD or SketchUp, to create their final designs. Beck has taken it a step further in her class by having students actually create professional signs and banners for their school. Rather than using a design and printing company, the school enlists Beck’s class for all of this graphic design work. To inspire excellence, student creations are used in real and authentic ways. They collaborate to brainstorm ideas. Then, using professional software, they design the signs and banners. This is the point where most classes end the project. 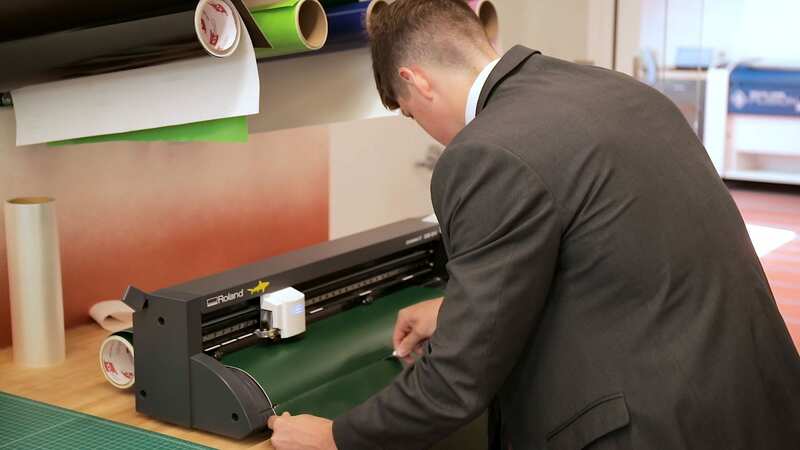 However, Beck’s students proceed to create and print the signs using Roland large-format printers. They use equipment specifically designed for them, which includes corresponding project-based-learning curriculum. In this way, students’ schoolwork is industry standard. The signs are displayed in public as if they were created by professionals—a definite point of pride. Professional audiences require professional work. In a way, professionals are creating the signs. The authentic application amplifies the student work. The spelling and grammar on the signs has to be perfect. There is no room for pixelated images or incorrect information. 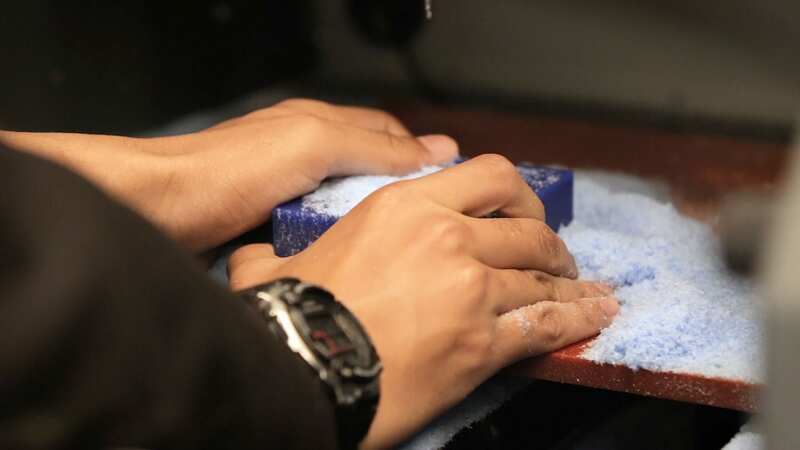 Hundreds of people see their work every day when staff and students walk the hallways, so students must really understand the material to create professional products. Beck says, “Our students typically do really well. They can explain exactly how they developed their models.” This is the beauty of authentic classwork. Kids are not just exposed to hands-on, realistic work but are learning and retaining knowledge at the same time. Authenticity increases the level of output and, as a result, increases engagement. Beck says this work keeps “students interested and provides skills relevant for today’s workplace.” For instance, the school does not hire a design firm or printing company for their signage. Instead, they contract their students, creative and skilled kids, for the work. When students are motivated by what they are creating, they’re more focused and work harder. This is why each year Beck has her students also create work for over 100 nonprofits. The kids are not just learning how to prepare for the real world, they are actually working in it. Project-based learning heightens engagement and student outcomes. Research shows that students who were exposed to project-based learning and authentic curriculum “made significantly greater academic gains than students taught with more traditional approaches.” The work requires that students move beyond the question of what and start asking why and how. This creates deeper knowledge, making students more successful in school. At the same time, they are learning real-world skills that will be invaluable to them for the rest of their lives. This is why schools need to explore more project-based learning for their students. The leadership at W.J. Mouat Secondary School realized the value of project-based learning and made it their mission to make it an option for students. 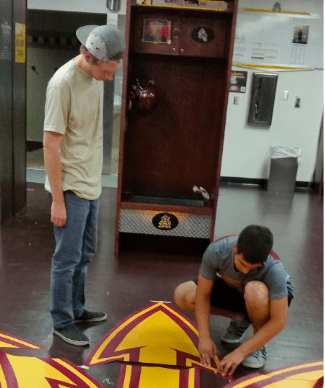 It’s why they invested in state-of-the-art equipment for their design classes, like the printer they use for the school signs and the MDX milling machine they use to create intricate woodwork for nonprofits. Student learning should reach beyond the walls of a classroom. With this equipment, students are creating work that leaves the walls of the classroom and enters their community. The classes at the high school that have this authentic application are the most popular. Students want to do meaningful work, just as adults do. Schools should be a microcosm of the ever-evolving world around them and provide students with the skills they’ll need to succeed in it. If we want our students to be designers, think critically, work hard, solve problems creatively, and pay attention to detail, we have to give them opportunities to learn these skills. Sitting in rows and reading from textbooks will not do this. Designing and creating real, authentic work will. How do you use project-based learning in your classroom? Share your thoughts below. Want to learn more ways to use project-based learning in your school? Get this FREE printable booklet to explore how you can use professional printers and milling equipment in your school to make project-based learning come alive for students. Trevor is the author of The Epic Classroom: How to Boost Engagement, Make Learning Memorable, and Transform Lives. He is a professor, speaker, and runs the Facebook page, The Epic Classroom. He believes life should not be boring; school either. Get Products and Inspiration Guide! Yes! Please send me the School Leaders Now e-newsletter packed with tips and giveaways especially for school leaders like you. Yes! Please send me news and offers from Roland.